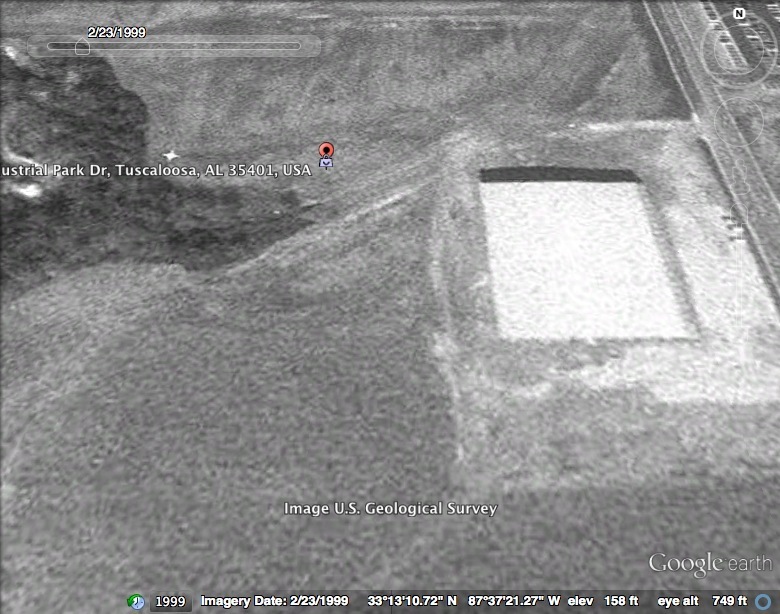 Picture of 1300 Industrial Park Drive, Tuscaloosa AL on February 2, 1999. This Location now houses Alabama Paper Products. Credit: Google Earth. According to a Bloomberg Businessweek company overview, Alabama Paper Products, LLC was established in 2001 as a subsidiary of Maryland Paper Company, L.P. The facility is home to a recycling mill that predominantly produces dry felt – a component of roofing underlays- from recycled cardboard and newspapers (1). The company website states that Maryland Paper Company opened its first production facility in 1989 in Williamsport, Maryland, with a focus on serving markets in the Northeast. Alabama Paper Products became Maryland Paper Company’s second facility (the third is California Paper Products built in 2013) (2). Based on the information on the company website, it appears that Alabama Paper Products was built to service burgeoning markets in the South and Southeast. In fact, the website claims that the South represents the largest regional market for recycled paper products of the sort that the facility makes (2). It seems that Maryland Paper Company is trying to distribute its facilities in such a way as to maximize market access across the United States. Though the facility does not appear to be a major employer or revenue generator in the area, there is some economic promise to its sustainable production model, particularly given the decline of the one-way paper industry in the past few years. Reference USA, a database of information about corporations, places the total, annual sales volume at just over $12 million, suggesting an only modest contribution to the local economy (3). However, while the economic impact of the Alabama Paper Products is relatively small, the possibility that it represents is enormous. As a January article on Al.com makes clear, the paper and pulp industries, which have long been staples of Alabama’s economy, are declining due largely to waning demand for “freshsheet” paper products. Recent, mass layoffs in the state have left enormous numbers of workers unemployed and forced communities like Lawrence County to cut public spending on assets like education (4). Recycling models like the one that Alabama Paper Products uses could present a new way forward for the paper and pulp industry in the state and allow for the revitalization of the industry. In terms of environmental impact, the facility has had a somewhat mixed history. On the EPA’s online enforcement and compliance history database, one finds that Alabama Paper Products was found to be in violation of the Clean Water Act in mid-late 2010. The facility received a letter of violation from the state, after which the violation seems to have been resolved (5). The facility is located near the Lower Black Warrior watershed, which is part of a freshwater system that provides drinking water to many Alabama residents, so there might always be a risk of contamination. Despite this blemish and the ever-present contaminant concern, Alabama Paper Products maintains a strong record with regards to sustainable business practice, as its goal is the amount of paper waste that is going to landfills by recycling this matter into roofing felt and a small set of other products. According to a 2012 Municipal Solid Waste Generation report issued by the EPA, approximately 68.62 million tons of paper and paperboard were thrown away during that year. Of this figure, 44.36 million tons were recycled- roughly 65% of the total amount (6). This is a high rate of recycling, compared to other municipal solid wastes, which is perhaps a result of the proliferation in recent years of firms like Alabama Paper Products which repurpose paper waste. As industry of this sort becomes more prevalent, the already high recycling rate of paper products could increase markedly. 1.) 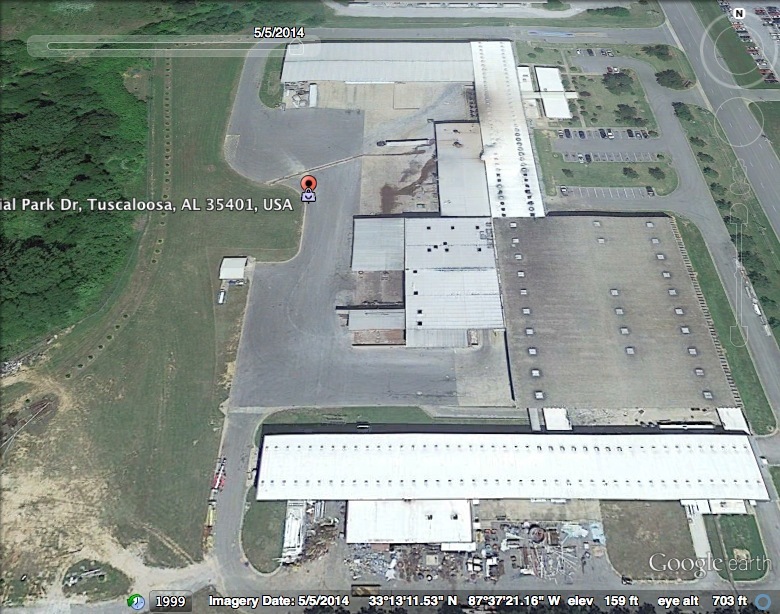 “Alabama Paper Products, LLC: Private Company Information – Businessweek,” accessed October 20, 2014, http://investing.businessweek.com/research/stocks/private/snapshot.asp?privcapId=30897898. 2.) “Maryland-Paper-Co,” Maryland-Paper-Co, accessed October 20, 2014, http://www.marylandpaper.com/. 3.) “ReferenceUSA,” accessed October 20, 2014, http://www.referenceusa.com/. 4. )Berry, Lucy, “500 International Paper Workers to Lose Jobs next Month as Courtland Mill Prepares for Closure (photos),” AL.com, January 31, 2014, http://www.al.com/business/index.ssf/2014/01/500_international_paper_worker.html. 5.) “Enforcement and Compliance History Online | US EPA,” Data & Tools, accessed October 23, 2014, http://echo.epa.gov/facilities/facility-search/results.